Charlii (b. 22 March 1994 - d. 8 April 2009) was a teenager who lost her life in a reckless accident in Dubai last year. The reckless driver was just fined Dhs 15,ooo and banned 6 months from driving. What was appalling was the fact that the culprit was laughing when verdict was handed and never apologized to the family. Her mother, Nichola Morgan narrates the story of highlights of her life and that unfaithful day. Charlii was born in Surrey, UK and was the eldest of 3 girls. She loved life and life loved her. She started dancing and drama at 3 years of age and always had a natural flair for the arts, She continued to study Drama until her death and was destined to be a star, the last picture she did of herself she wrote the words ‘stars in her eyes’ above herself. She also loved horse riding, music and reading. 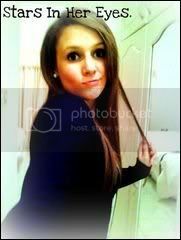 She was an extremely popular girl; very outgoing she had a way of making people she met feel special. Our home was always filled with laughter and commotion, her character was larger than life, full of fun and an inner beauty that oozed out, she was the main heart beat in our family. She loved to go out and socialize but she also liked coming home and just chilling out with her family. She was so close to her sister’s they always looked to her for guidance and advice, because she was the strongest character out of the 3 she always took the lead and the other 2 happily followed. When Charlii was 14 we decided to relocate to Dubai due to her Father getting a job here. We thought it would be a great opportunity for the girl’s to experience a different way of life, new cultures and a vibrant city. We enrolled the girl’s into Jumeirah College where she made friends of all nationalities and fitted in at once, she loved her new life here although she was very sad to leave behind her friends and family in the UK. Four months after our arrival during the Easter holidays she went to Uptown Mirdif with a friend to go shopping, she left at 3PM and said she would be back before it got dark. We lived a 10 minute walk from the shops, she had been many times and I gave it no thought. She had celebrated her 15th birthday a few weeks before so was at an age where she could have some independence. I received a call from my husband at 6.15 PM saying that he had received a call from a lady on Charlii’s mobile, he said that she had been involved in an accident and needed taking to hospital. I go straight to meet her as he was at work. My initial thought was that she maybe had broken her leg or had concussion but they would not take her to the hospital without her insurance card so although I was worried and concerned, nothing could have prepared me for what I faced next. I drove around the roundabout and along the straight road ahead where I saw lots of flashing lights, police cars, ambulances and lots of people looking from the side of the road. My first sight was a person lying in the road covered in a red flower patterned blanket, I thought it was an old lady in a dress, I remember thinking this is serious as someone is lying in the road but my focus was finding my daughter who I presumed was in an ambulance. I shouted at a woman where is my daughter "Where is Charlii?" She pointed at the body in the road, all I could say was No, No. The body was alone and I could not understand why ambulance crew was not working on her, the woman told me she had gone "Kalas" (Meaning "Finished" in Arabic). A policeman came over to me and asked for Charlii’s details in broken English. It seemed like forever since I arrived at the scene and I just begged the policeman to remove Charlii from the road which after a while longer they did. This was the end of my world and a day that will haunt me forever. We had to go home and tell the girls what had happened which was the hardest thing I have ever had to do. Nothing I could say or do could console them. Charlii had been crossing the road at Mirdif it was a 2 lane carriage way, the road was apparently empty (according to an eye witness who saw the accident) a speeding 4 X 4 came from nowhere in the fast lane and hit her on the far side just as she was a few steps from safety. The impact knocked her body 30 meters away and she died instantly from internal damage. There was no way the driver could not have seen her as it was a long straight road, he made no attempt to swerve into the inside lane or to break. Many people have said that reckless drivers actually speed up when they see a pedestrian just to frighten them. The driver was an Emirati aged 19. He was charged with causing death by reckless driving and not paying attention. He was banned from driving for 6 months and fined 15,000 aed. He also had to pay us blood money. We went to court to hear the verdict and saw the young man who was with another man and they were laughing together, he seemed to have no remorse for what he had done and has never tried to contact us to apologize. The message I would like to give reckless drivers is that reckless driving destroys lives, not only does it take away the greatest gift a human being can have - ‘Life’ but it wrecks the lives of so many people, parents, grandparents, siblings, aunties, uncles, cousins and friends. We all have a life sentence ahead of us through no fault of our own. Losing a child is the most unnatural thing a parent can go through, it’s so heartbreaking words cannot express, it is unimaginable and unthinkable for most parents. Time does not make the pain any less, time just makes us have to cope the best way we can. I think that insurances on cars should be looked at as it seems to be in a lot of cases the drivers are young and are not experienced/mature enough to drive these huge engine cars and do not understand the power of these machines. Instead of the car being insured for anyone to use, the person should be insured and up to maybe 25 years old they should not be able to get insurance for large cars like SUV or V6+ engines. The authorities need to know the seriousness of dangerous driving, cars are killing machines if put into the wrong hands. If a driver decides to get into a vehicle, speed and not pay attention, this in my eyes is should be ‘manslaughter’, because although the death of the person may not be pre-meditated, if they have chosen to abuse the rules of driving and kill a person in the process how can they be innocent. I find the system here very hard to comprehend where if you bounce a check you get a month in prison but if you kill a child that has their whole life ahead of them, who was perfectly healthy before the driver smashed into them and who destroys the lives of so many all they get is a 6 month ban from driving and 15,000 dirhams fine! What message does this send to other reckless drivers? It is 18 months now since Charlii died and the pain is still intense, it does not get any easier but you learn to live with it. The only way I can describe the pain is that someone has stuck there hand into my chest and ripped my heart out but I am still alive. The impact on our family is incredible, we are all trying to cope the best we can, as a mother the worst thing is watching my other 2 daughter’s suffering, they ask why, why such a beautiful person with so much to give had her life cut short? Unfortunately I have no answers as I struggle myself with. Why? According to Abu Dhabi Health Authority (HAAD), 60% of the road accident causalities are pedestrians and reckless accidents are largest cause of death among the youngsters. If you or somebody you know have lost loved one in an accident please share with us.